Together with the addition of rooftop units, they could in theory meet the entire electricity demand and drastically reduce the use of fossil fuels for most developed economies such as those of Australia and the US. 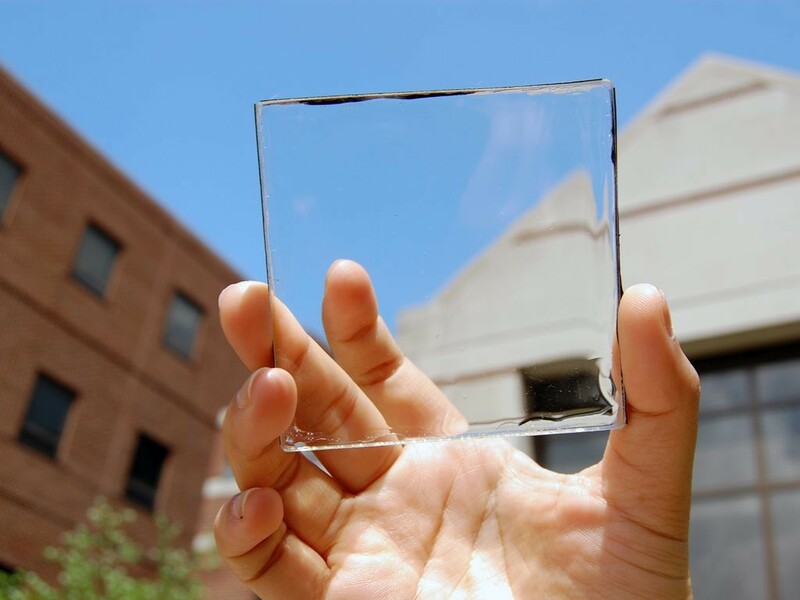 “Highly transparent solar cells represent the wave of the future for new solar applications,” says Richard Lunt, associate professor of Chemical Engineering and Materials Science at MSU. “We analysed their potential and can show that by harvesting only invisible light, these devices can provide a similar electricity-generation potential as rooftop solar while providing additional functionality to enhance the efficiency of buildings, automobiles and mobile electronics,” he says. Lunt and his colleagues pioneered what they call a ‘transparent luminescent solar concentrator'- basically an organic solar harvester, which when placed on the surface of a window creates solar energy without blurring the view. In fact, so versatile is the thin, plastic-like material that it can be used on buildings, cars, electronic devices - basically anywhere that has a flat surface, say the researchers. Composed of organic molecules that absorb invisible wavelengths of sunlight, ultraviolet and near-infrared wavelengths, these molecules convert this energy into electricity, which can then be transferred to a battery for storage, making the potential for every building in the country to be basically made of solar panels now close than ever. And since less than three percent of all electricity produced in Australia (and in the US for that matter) comes from solar energy, the potential energy, cost and greenhouse gas savings from this technology are enormous. To use the US as a prime example, there are an estimated 7 billion square meters of glass surfaces in the United States meaning that this technology potentially could end up supplying some 40 percent of energy demand in the U.S.
Lunt says that at present, these transparent solar applications have efficiencies above 5 percent, while traditional solar panels typically are about 15 percent to 18 percent efficient, which he notes means that transparent solar technologies are only at about a third of their realistic overall potential. “Traditional solar applications have been actively researched for over five decades, yet we have only been working on these highly transparent solar cells for about five years. Ultimately, this technology offers a promising route to inexpensive, widespread solar adoption on small and large surfaces that were previously inaccessible,” he says.